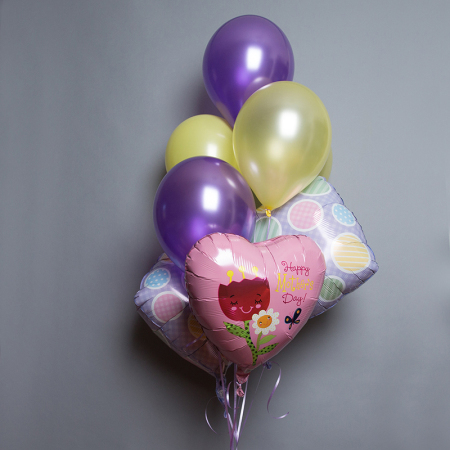 Send Mum your love this Mother�s Day with a colourful bouquet of helium balloons. This would make a perfect addition to a beautiful bouquet or arrangement of flowers. Browse our beautiful selection of flowers and make this gift extra special. Order online before 2:00pm to receive same day local delivery . Please be aware that helium foil balloons will stay afloat for up to 5-7 days. Helium latex balloons will stay afloat for up to 24 hours and can be affected by air conditioning and heating.